This is my current art for the His Holy Name Challenge at Faith Sisters. 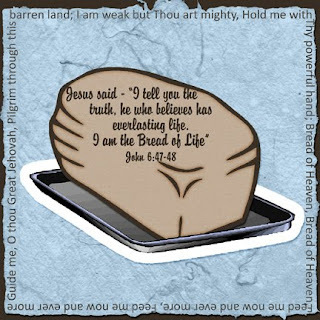 We were given the title of Jesus - "Bread of Life" to use. As I read the devotion that went with the challenge an old hymn came to my mind so I have included the first verse from the hymn around the edge of my page.